While other countries are banning most electronics on flights from Muslim-majority countries, Canada has issued their own bizarre ban concerning their prime minister. Life-size cardboard cutouts of Justin Trudeau are no longer allowed. Canadian diplomats in the U.S. are supposed to stop using the paper likeness of the country's leader at promotional events, according to CBC News. 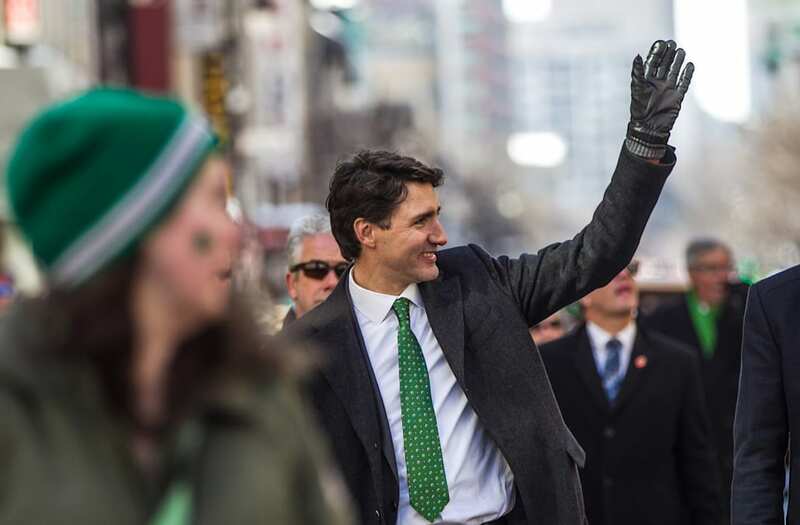 A Trudeau cutout was spotted at the South By Southwest festival in Texas last week and at a Canada Day event at the Washington, D.C., embassy last year and Canada is not into it. Those cutouts are a thing of the past now that Global Affairs Canada has officially asked that there be no more Trudeau cutouts at events. "We are aware of instances where our missions in the United States had decided to purchase and use these cutouts," Michael O'Shaughnessy, Canada's global affairs spokesman said in the CBC article. "The missions have been asked to no longer use these for their events." The CBC also obtained documents pertaining to the cutout orders, including a rush order from a Pennsylvania company for $147.79 last June. (That very prestigious company is HistoricalCutouts.com.) When the CBC contacted the business owner he said they've sold up to 20 Trudeaus. Emails also showed government employees called the Trudeau cutouts a "hoot" and predicted the replicas would make for "some serious selfie action." But on the bright side, none of the best-selling replicas on HistoricalCutouts.com are banned. So go ahead and order as many Trudeaus, Kim Jong Uns, Nelson Mandelas and Joseph Stalins as you'd like.